Snap frame with silver finish brings class to the intertior of your comapany. Purchase includes all necessary mounting hardware and clear protective lens! Provided are wall anchors and screws for installing in vertical and horizontal orientation! 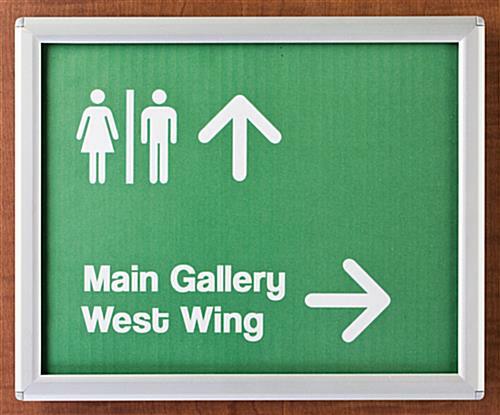 This wayfinding sign is a valuable tool when directing customers or guests to the proper area. The frame can be used in many different locations. 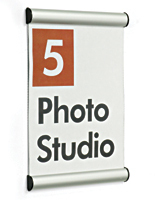 This wayfinding sign can be found in the hallways of a company, educational facility or any other public establishment. The directional sign system is a very helpful display for people trying to find where to go. This wayfinding sign is designed for 8" x 10" graphics. 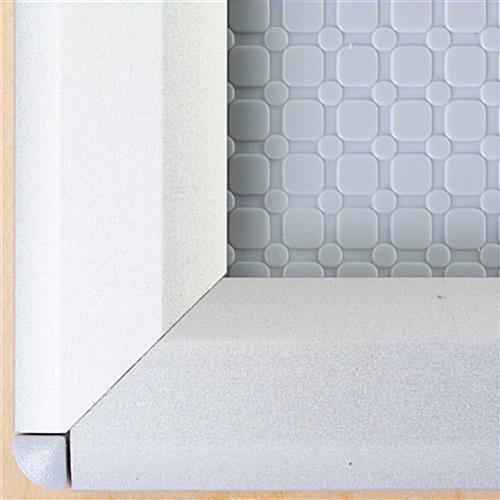 The unit has a silver finish for an attractive appearance. This wayfinding sign includes a plastic overlay that protects the content from damage. Mounting screws and anchors are also included to make affixing easier. This wayfinding sign, very similar to directional signs, can be attached to doors or walls easily. 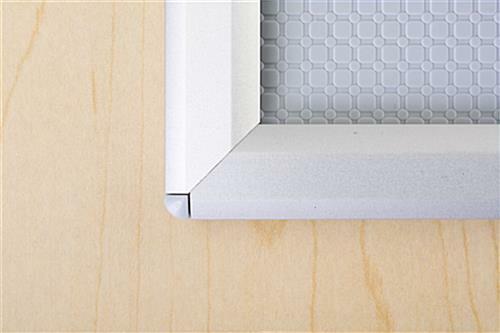 The snap frame design allows users to change out the image without removing the display from off the mounting surface. This wayfinding sign just flips open at the sides for placing the graphic inside. When positioned correctly, simply snap the border shut. This wayfinding sign can be installed in either portrait or landscape orientation for best accommodating the information. The interior signage system is a combination of affordability and high quality! This wayfinding sign is available in two colors to best match the surroundings. The interior signage system is sure to aid patrons! 8.8" x 10.8" x 0.5"